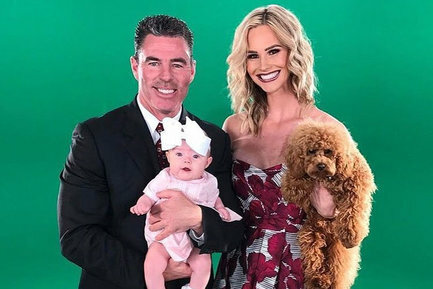 iRealHousewives | The 411 On American + International Real Housewives: Meghan King Edmonds Reveals That She Can’t Wait To Have More Children! Meghan King Edmonds Reveals That She Can’t Wait To Have More Children! Meghan King Edmonds opens up about how motherhood has changed her, and how she is ready for another baby. “Yeah, I want to be pregnant again. I love being a mom and if it was up to me, I’d have like five babies!” The Real Housewives of Orange County star told Us Weekly. “We can’t try in the traditional sense because I did IVF. We’re definitely talking about doing it again.” If you recall, fans of the Bravo hit reality show watched her go through IVF and know it wasn’t an easy journey for her. Meghan and her husband, Jim Edmonds, welcomed their baby girl, Aspen, in November of 2016.